The Knowledge For Men podcast interviews today’s most successful leaders sharing their incredible stories and life lessons to help you get the life you want in the areas of health, wealth, relationships and personal growth. With over 5 million downloads every show is jam-packed with straight to the point, actionable tips and insights that will propel you forward to become more successful in your life. Below is a show list of every interview as well as an incredible gold mine of resources to help you reach your full potential. Prepare to become the most powerful version of yourself with the most popular podcast for men today. 38: Omar Zenhom: Talk is Cheap, Do What Matters Now! 36: Kevin Harrington: Winners Make it Happen! November 2013 – The Journey Begins! ***If you enjoy the podcast, I would really appreciate a rating and review on iTunes or Stitcher Radio to help impact more men in the world. 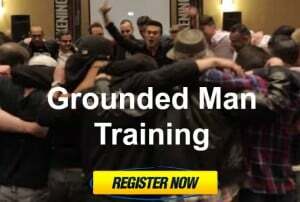 If you’d like to learn more about the concepts and strategies I’ve shared here today, then you can get my FREE 3 part video training series on becoming a stronger more Grounded man so that you can build a life of freedom, success, and happiness. Just click here to claim your free training today.